Attention to all lovey-dovey couples! Look at the blushing Dou Dou and Fiffy in glittering clothes! Don’t you feel romantic? In this Valentines’ Day, Dou Dou and Fiffy have prepared the scarves for each other, it’s especially warm with a touch of sweetness in the air. 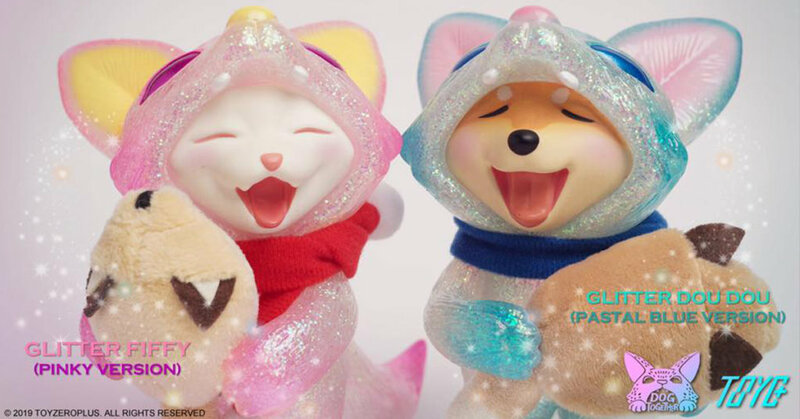 Designed by Dog Together Studio and produced by TOY0+, “Glitter – Dou Dou / Fiffy” are limited to 60PCS, painted with sparkling effect and will be available at Wonder Festival 2019 [Winter] in Tokyo on 10th FEB (Sun) Time to schedule a sweet moment on Valentines’ Day!